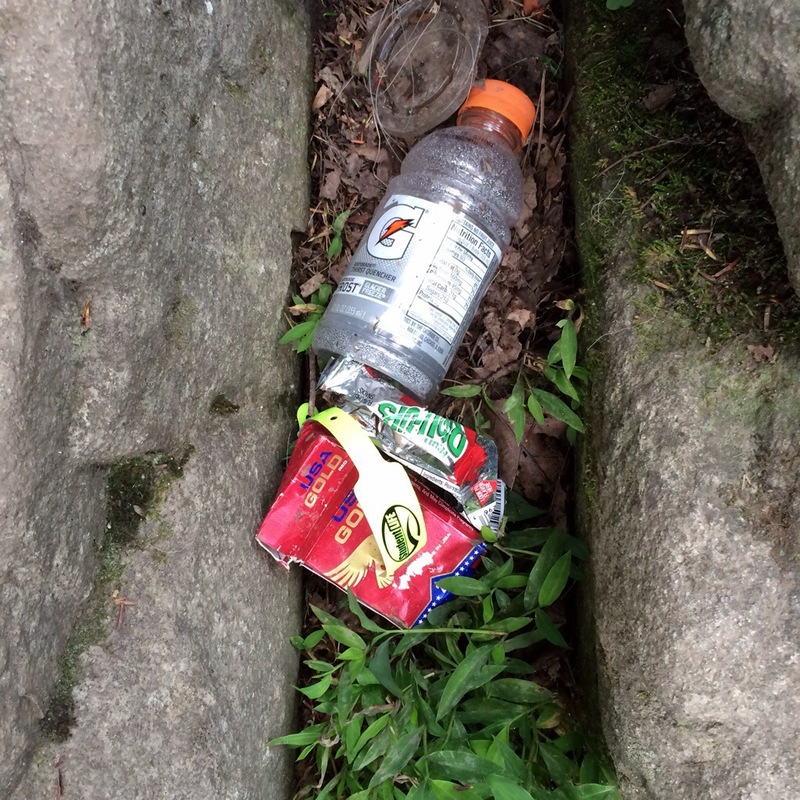 It’s been nearly 2 years since I wrote my first blog about Trash Can Falls. Since then, it has been my most viewed blog entry month after month. It can be seen here: https://waterfallshiker.com/2012/08/05/trash-can-falls/. I made an unplanned return here in July 2014. After my second attempt to see Gragg Prong Falls this month for the first time ended up in a monsoon, I had to go with plan B. After all, I can’t let a 90 minute drive to the beautiful NC mountains become a wasted day just because scattered showers and thunderstorms keep popping up on my scheduled destinations. So it was plan B, which really there is no plan B, just keep driving to another location where the weather is more cooperative. 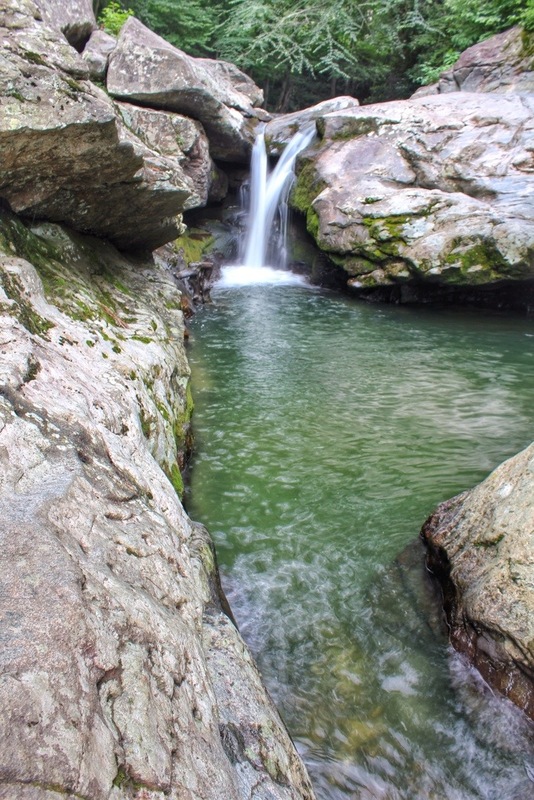 I left the Grandfather Mountain area, went to Waterfalls Park for a nice hike. After this, I went to Elk Falls, only to find every parking space covered….on a Wednesday??! I kept going, this time up NC 194 stopping by Crab Orchard Falls for a nice hike. 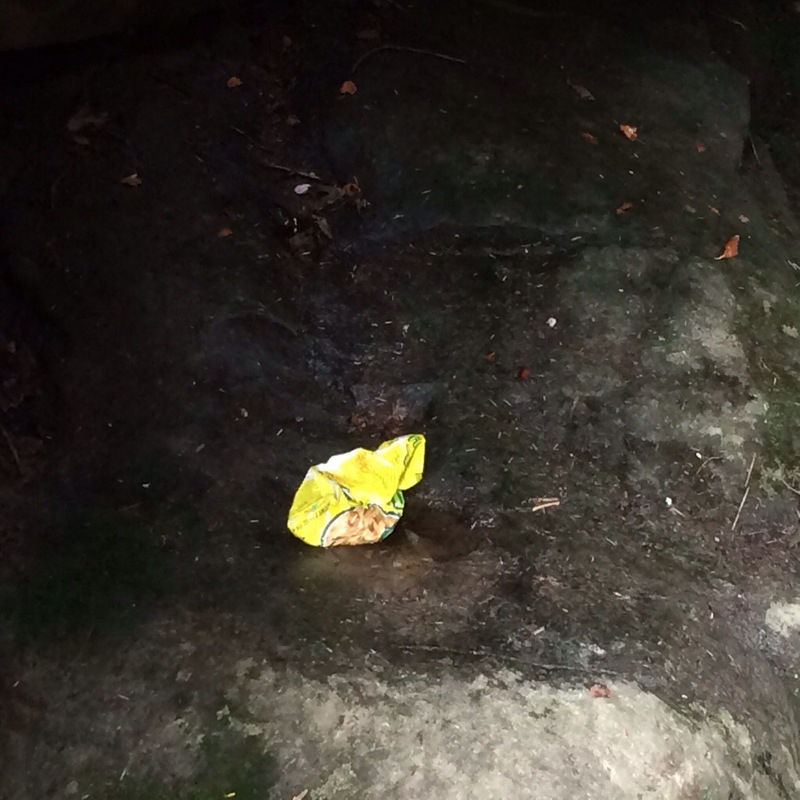 After spending some time in Valle Crucis, I made my final waterfall destination, to Trash Can Falls. 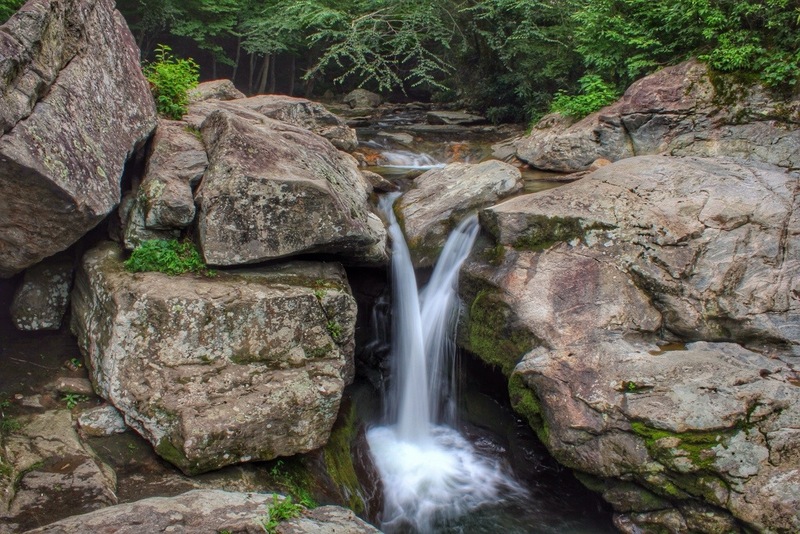 Trash Can Falls is just a short ways from Boone, NC. Leaving north on US 421/321, follow US 321 at the split for 5 miles or so. Just after US 321 crosses the Watauga River, look for Laurel Creek Rd, a dirt road coming in diagonally from the left. Just past this, is a large gravel pullout capable of safely holding at least 10 cars. 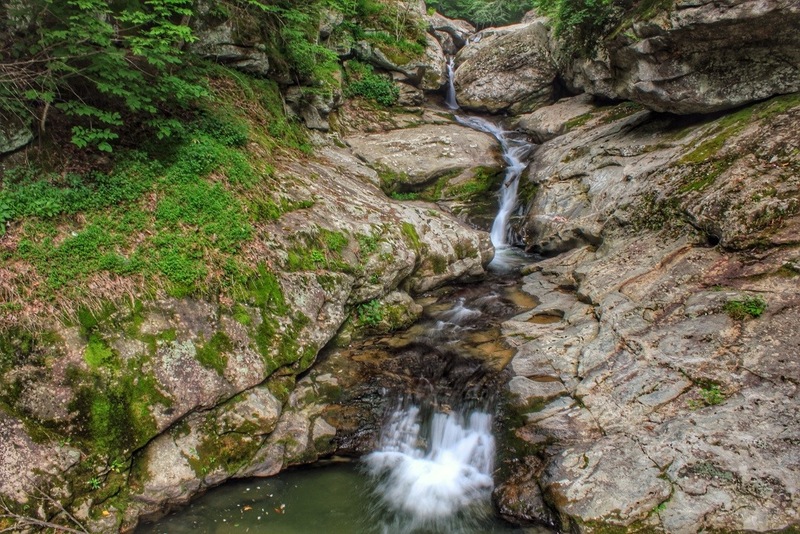 At the very tip of it, with the Watauga flowing on the right side of the highway, cross the highway into the woods. There, a small trail picks up. Be careful here, this is a busy highway. 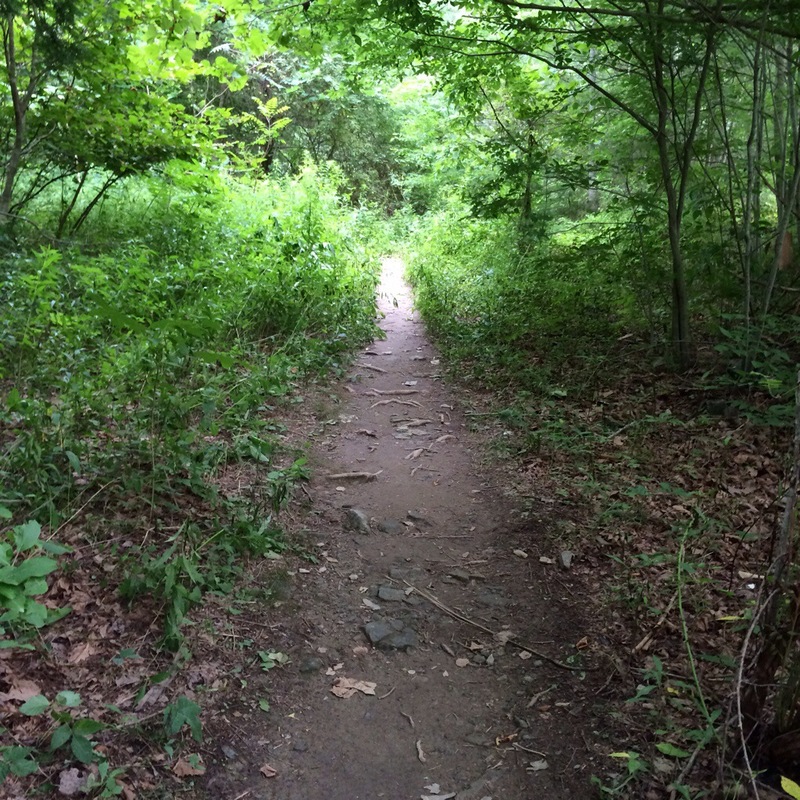 The trail is well defined, and short. 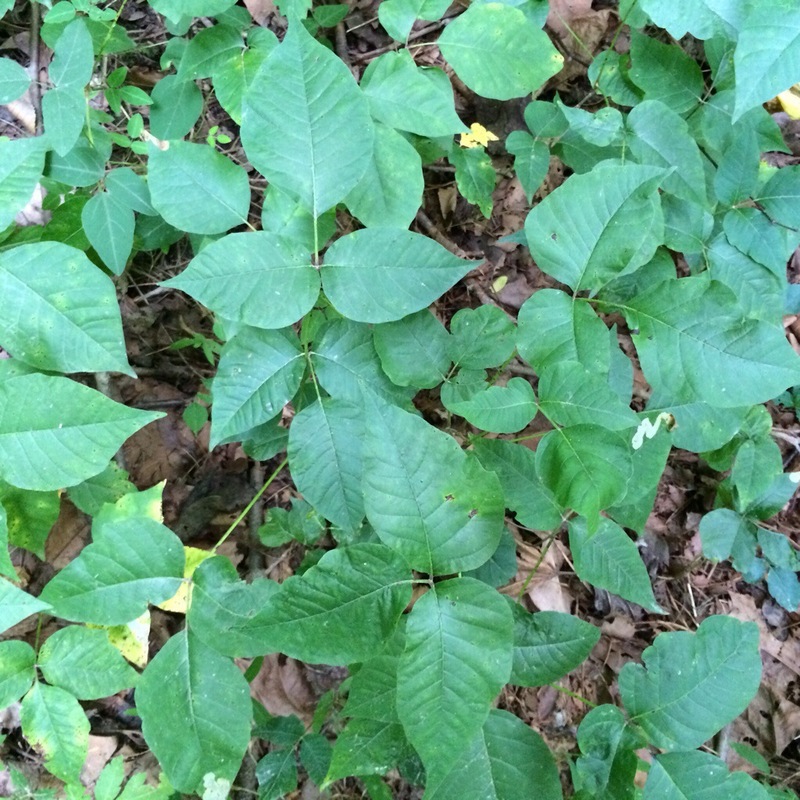 In July, it is also covered on both sides by Poison Oak/Ivy. Keep that in mind. In a short ways, there will a steep path dropping to the base of the gorge. I once said that this was a small waterfall of 10-15 feet. 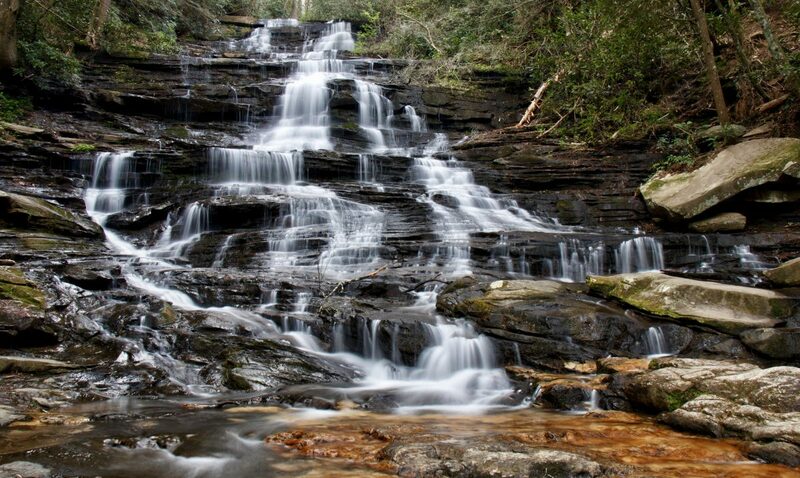 It really is more like 50 feet total with the main fall at the top and the cascades through the small gorge. I took this short but steep trail to the base. It is actually very steep and should be descended carefully. Getting back up is easier than getting down. The view is absolutely beautiful down in here, so it is certainly worth looking at if you can get down to it. Once back in the main trail, large boulders and rock lined walls are just around the corner. 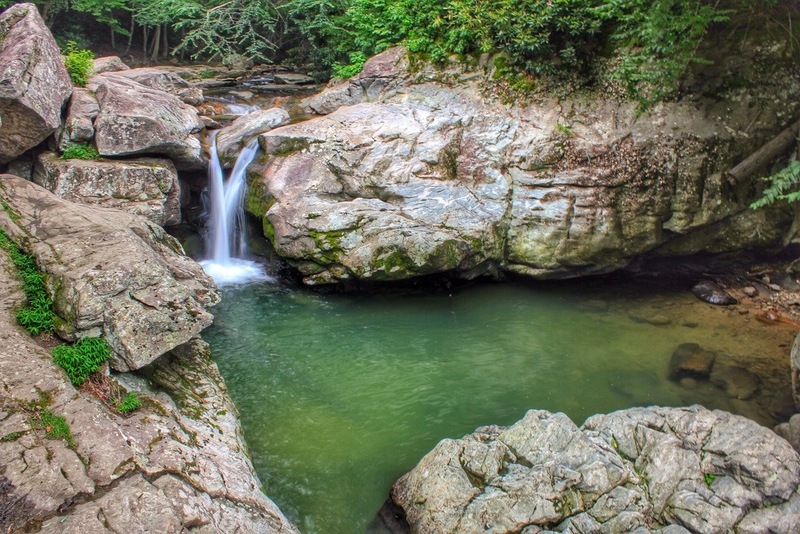 This is where all the locals and college students from Appalachian University and Lees McRae in the nearby Banner Elk like to hang out, jump the falls, and swim in the small but refreshing pool at the bottom of the main drop at the top. I had said 2 years ago that I did not understand the name Trash Can Falls, because there was nothing trashy about it. Today however…:(, the locals had forgotten to leave with everything they came with. 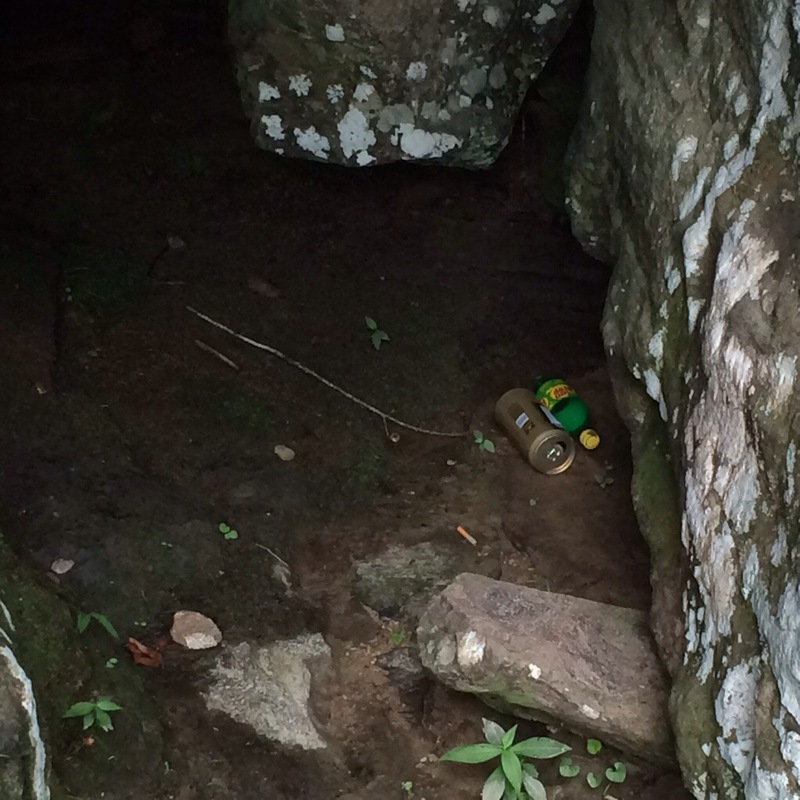 There is no excuse for this….there were also some socks and other clothing items left behind as well….LEAVE NO TRACE! 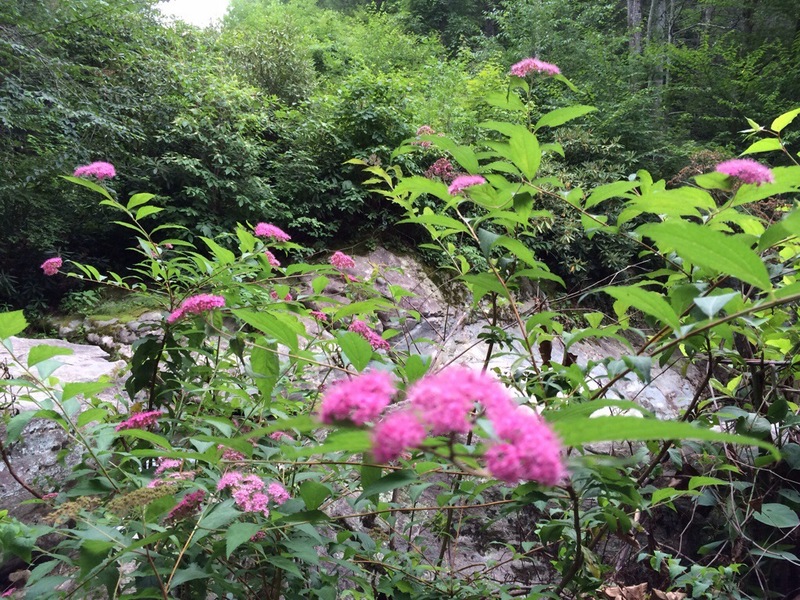 There were some nice flowers near the top of the falls. We recently went and cleaned up! 4 bags of garbage later and its spotless! Thank you! It really is a beautiful place thanks to people like you!